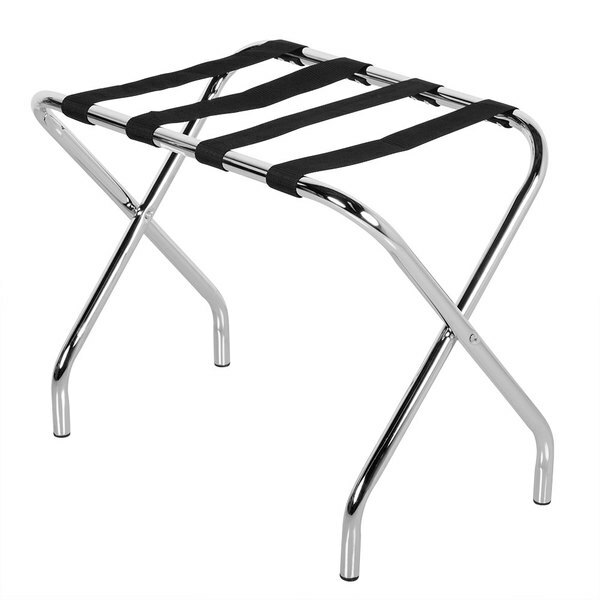 Made of durable 20 gauge steel with a dazzling chrome plated finish, this Lancaster Table & Seating folding luggage rack is a must have room amenity at your hotel, motel, or resort. It features four, 2" wide nylon straps for added support, and folds flat for easy storage. Rubber feet protect your floors from scratches and scuffing, and contribute to stability and slip resistance.